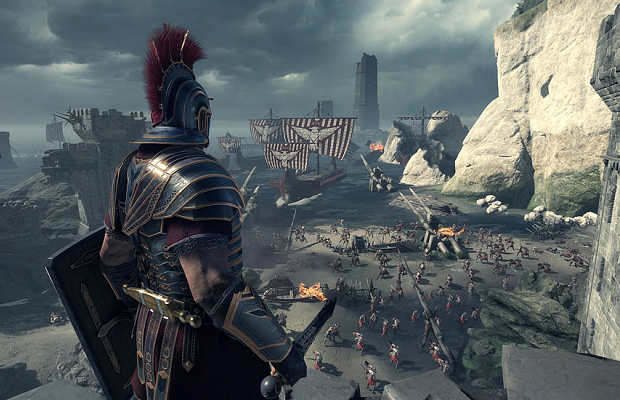 The ancient Roman gore-fest Ryse: Son of Rome is slated for the Xbox One launch, and considering its high-profile nature, it’s time for television spots. The Path of Vengeance commercial goes the live-action route, depicting a familiar looking soldier slashing his way through enemy forces. Check it out below. Ryse: Son of Rome will be the first Xbox One title from developer Crytek, the studio behind Crysis and the original Far Cry. The game has been in development for some time, and was previously known as Codename Kingdoms. We can expect Son of Rome November 22 alongside the US release of the Xbox One.